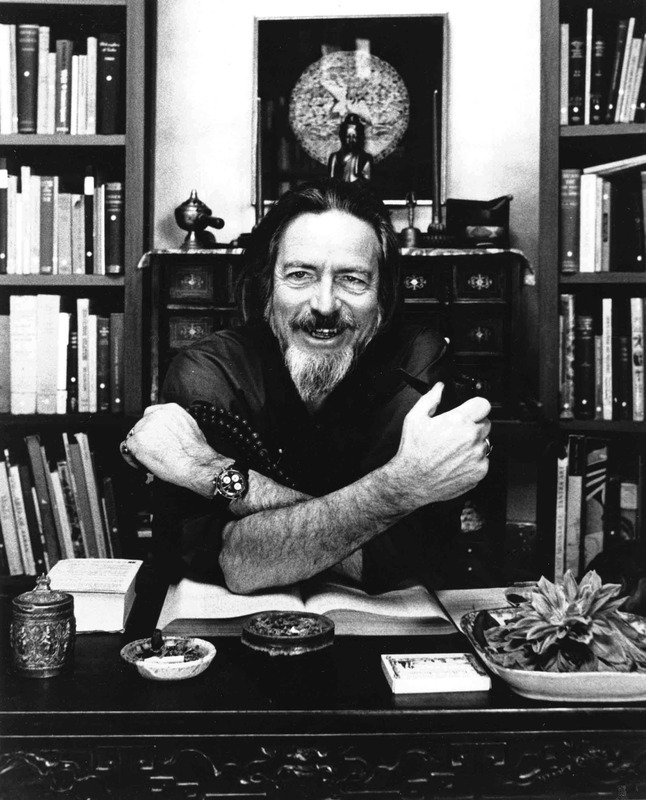 Alan Watts’ wonder-filled The Book: On the Taboo Against Knowing Who You Are from 1966, seems especially prescient considering how current it sounds even some 50 years later. For instance, through 3-D printing we hear about the possibility of plastic organs and replacing hearts and kidneys, lungs, and other organs to live in perpetuity. Watts has many things to say about our culture’s issues–fantasies and phobias–related to our fear of death. But more importantly his eastern-religious thoughts on death are refreshing, challenging, wise–and speak as directly to our culture now as then, especially on ideas about how to overcome self-righteous certainty. His thoughts on envisioning the fear in order to overcome it relate to Tim Ferriss’ advice on productivity and creative courage. This insight is earned from his strong criticism of our western influenced “ego” and the “barbaric” Freudian-influenced individualism which cuts us off not only from others but from ourselves. His thoughts on the persona and the mask remind one of C.S. Lewis’ Till We Have Faces: A Myth Retold. It is “intellectual suicide,” he says, to irrevocably commit to any given religion because it closes the mind to any new vision of the world, which is the opposite of what faith should really be, an act of trust in the unknown. The main emphasis of the “book” is that we are connected to the world, to each other. To deny that–as is the way of our culture–is folly or ignorance. We’re not “just [a] little me” who “came into this world” living temporarily “in a bag of skin.” That idea is an illusion, a hoax. And Watts doesn’t just want to make the point intellectually, but to show how it happens, so that we feel the fact, and can come away transformed with the cure. His thoughts also speak to wisdom literature from all cultures and religions. Without directly saying so, he also connects with Carl Jung’s archetypal collective unconsciousness, as well as Joseph Campbell’s mythical connections. This is just to say that it’s not just an eastern emphasis that Watts brings to the table, but enlightenment thinking about ways for humanity to reconnect with others and self, and to be more affirmative and less hostile to the world, micro-and-macrocosmically. For those ready and willing to really wake up to a more holistic and integrated consciousness, Watts is a thinker to become familiar with. A challenging and thought-filled book. Here he is on discovering the real you.